Dodging missiles with maneuverability is almost completely irrelevant. That's why they test missiles against maneuvering and non-maneuvering targets. Maneuvering degrades missile Pk drastically. Looks isn't everything. The aircraft is designed for all aspect VLO. We have to wait for Stage 2 to get up and running first. The Stage 1 isn't all aspect VLO, particularly the engine. It isn't, just look at the design. There are plenty of poorly shaped angles not to mention the finish which is typical Russian/Soviet quality. Stage two will get better engines that what is there now but you can't change the shape without a complete redesign. The F-22 relies almost entirely on shaping, it's been built using metals. But the Su-57 has been built using RAS. The Stage 1's airframe still has a lot of metal, but the Stage 2 and the follow up FGFA will be near 100% RAS in surface area. RAS = Radar Absorbing Structures. So while the F-22's stealth works by reflecting radar signals away from itself, the Su-57 absorbs radar signals like a sponge, quite a bit of it. VLO depends on shaping and RAM for areas where shaping doesn't work well. RAS is qualitatively the same as RAM and in actual use there is no real distinction. By the way, about 40% of the F-22 is composite. But the problem is, unlike the F-22's RCS, the Su-57's RCS cannot be simulated with simple models. So you can't rely on looks at all. Since the shaping is inadequate you'll have to make up for that with materials with are expensive, cutting edge and untested. Maybe it'd be better to refine the design? It says there will be increased use of composites. Again, trying to use materials to make up for a poor design. The Su-57 will also have active cancellation capability. So unlike the F-22, it will be equipped with multiple options for stealth. Active cancellation is right up there with plasma stealth. Nice ideas but they don't exist against modern radars. Against an old pulse doppler maybe there would be some effect, but not against AESA radars particularly when backed up with decent ESM. How are you going to shoot missiles and dodge missiles without kinematics? You don't. A 9g airplane isn't going to dodge a 50g+ missile. Thats what ECM is for. The IWBs are bigger and deeper than the ones on the F-22. Arsenal includes cruise missiles. The expected A2A loadout is four R77 and 2 R73. Seems pretty much the same. If you mean the Kh-35UE, why would you need to carry it internally? The F-22 also has cheek arrays, they are built for, not with due to funding crunch. Rafale will have them in the future as well. Cheek arrays have nothing to do with the main array. Not to mention, the wing root arrays are L band, not S.
While it was a nice idea, cost and actual value were the deciding factor. Since there are fitted for them with cooling and software code, they would have been added it it was thought they would be useful. And you can get much of any benefit by using a repositioner like CAPTOR-E or Selex ES-05. And no, Soviet industry was backward, not Russian. The Russian industry has practically caught up with the west due to globalization. Russian industry has in no way caught up with the West, particularly in electronics. As of two years ago they were introducing 90nm, 200mm CMOS technology; IBM started using that in 2004! And at this they bought the technology because they couldn't develop it on their own. "Still, Alexey Belyakov, executive director of Skolkovo's space technologies and telecommunications cluster, believes that Russian microelectronic manufacturers are still a long way away from becoming world leaders. "In terms of microchip production we still considerably lag behind top companies such as TSMC, XFab, and others,'' said Belyakov. ``Our manufacturers are mainly working for the domestic market. This is probably not surprising considering that large investments are needed to build a modern production system." The Soviet Union spent a huge percentage of it's GDP on the military and even it couldn't complete in electronics by the 80s. Russia is no better. So when the Russians have it, it's a flaw, when the US doesn't have it, it's just a cost factor. Very unbiased and rational assessment. And no you don't get the advantages with a repositioner, because the FoV with a re-positioner is less, you have one side always uncovered and it adds the probability for mechanical failures, which is counterproductive to AESA in fact. Four R77 per centerline bay and the KH35 is an anti ship missile, so carrying it internally gets you closer to the target and avoid detection, which is the prime aim of stealth. Btw India wants more composites, because we have a silly complex of using as much composites as possible. LCA has more composites than what you stated for F22, so does it mean LCA is stealthier or that the F22 design is flawed, like you concluded for Su 57? Blackjay, Bloom 17, Sahil ecclstone and 1 other person like this. ...Like the United States Air Force and the Navy, the Russians are looking at a wide range of concepts including manned-unmanned teaming, directed energy weapons and hypersonics. The Russians are also looking at novel radar and electro-optical sensor technologies that seem designed to counter stealth. One system under development for the potential new plane is a so-called radio-photonic radar. "The radio-photonic radar will be able to see farther than existing radars, in our estimates. And, as we irradiate an enemy in an unprecedentedly wide range of frequencies, we’ll know its position with the highest accuracy and after processing we’ll get an almost photographic image of it - radio vision," said Vladimir Mikheyev an advisor to the first deputy CEO of the Radio-Electronic Technologies Group (KRET) in an interview with the state-owned TASS news agency. "This is important for determining the type [of an aircraft]: the plane’s computer will immediately and automatically identify a flying object, for example, an F-18 with specific types of missile armament." According to Mikheyev, the new “radio-photonic radar” will operate over a much wider band than conventional radars and should be far more resistant to enemy jamming. Further, the new system is expected to be utilized as an electronic warfare system, datalink and as a communications system. Prototypes of the new radar have already been built. "Both the emitter and the receiver have been built on the basis of the experimental prototype as part of the R&D work. All this works and performs the location - we emit an ultra-high frequency signal, it is reflected back and we receive and process it and get the radar picture of an object. We see what we need to do to make it optimal," Mikheyev said. In addition to its new radar, the Russians expect to field a new electro-optical sensor. “A powerful multi-spectral optical system operating in various ranges - the laser, infrared, ultraviolet and, actually, in the optical band, which, however, considerably exceeds the spectrum visible to humans," Mikheyev said. The aircraft will also be equipped with directed energy weapons—and fly as part of a swarm of drones. Indeed, while two aircraft in a flight might be manned, there might be 20 to 30 unmanned aircraft accompanying those jets. “One drone in a formation flight will carry microwave weapons, including guided electronic munitions while another drone will carry radio-electronic suppression and destruction means and a third UAV will be armed with a set of standard weaponry,” Mikheyev said. “Each specific task is solved by different armaments." Mikheyev also described a self-defense laser weapon for the future aircraft. "We already have laser protection systems installed on aircraft and helicopters and now we are talking about developments in the field of powered lasers that will be able to physically destroy attacking missiles’ homing heads," Mikheyev said. Nah, man. The design is VLO. The finish is also fine. It's just painted with lighter colours so the rivets are much more visible. Look up a F-22 without paint, you will see the T-50 staring back at ya. RAS and RAM do something similar, but they are not the same. RAS is baked into the airframe structure while RAM is painted on. More than 90% of the F-22's stealth comes from shaping, not from materials. It's not poor design, it's the future of stealth. Shaping only stealth is bad because the signals have only been diverted elsewhere waiting to be picked up. What the Su-57 does is destroy the signals themselves. Both are real, both exist. Active cancellation is in fact already operational. Oh really? You need to use ECM and maneuvering together or else you will get killed. Maneuvering is still the champion of escape. Especially against much more maneuverable WVR missiles that's not affected by ECM, only flares. The expected A2A loadout is four R77 and 2 R73. Seems pretty much the same. R-77 and R-73 are not the standard missiles of the Su-57. There are new missiles being made. The K-77M and R-74M2 are stop gaps until new missiles come in. If you mean the Kh-35UE, why would you need to carry it internally? Um... for stealth. And that's not the only missile. The Su-57 will see the development of 12 new weapons, not counting whatever is being made in India too. The cheek arrays on Su-57 have been designed primarily for ground scan. The shape tells you that. Microchip fabrication is something that belongs to Taiwan, not US or Russia. For example, the latest gen Intel i7 chips were designed in Israel and manufactured in Taiwan. Not the US or Russia, but both countries have access to cutting edge technologies for their military. There's basically two types of tech, one is commercially off the shelf (COTS), and the other is developed and used internally by companies, let's call is restricted. Now, COTS is the bleeding cutting edge tech that the Soviets did not have enough access to. So their restricted tech suffered. But that's not the case with Russia, they have access to all the hardware that the west uses today. So the only thing that matters more is design of the restricted tech and software. And in terms of both, they were at par even during Soviet times. The article you quoted speaks of COTS. By that standards, no one is ahead of Taiwan, even the US. What the Su-57 does is destroy the signals themselves. By converting the signals to heat energy instead of simply reflecting them away. Sir ji, wahi poochh raha hun. How it converts radar signals into heat? They absorb the signals but the energy can neither be created nor destroyed, it only changes its form. Radar energy so absorbed gets converted to heat. This heat is dissipated by fuel of the aircraft to cool down the skin. The heated up fuel is than sent to engine for burning and that is how the whole cycle works. There are many techniques. In one them, you take iron balls and place them in a magnetic field. 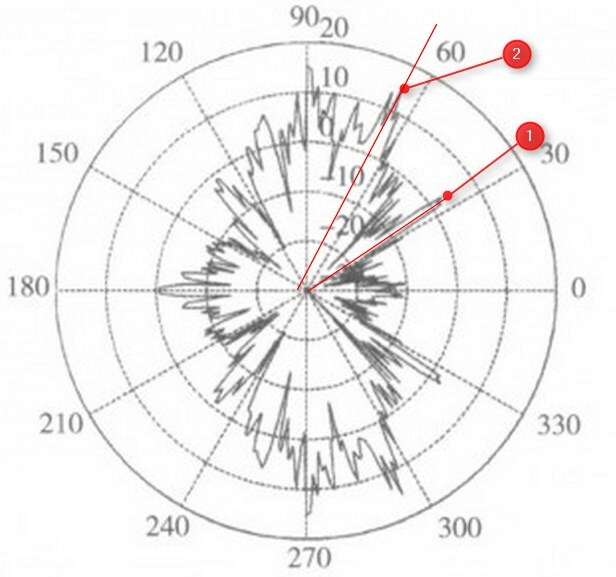 When the radar signal passes by these balls, it is subjected to different magnetic fields and starts oscillating and the signal energy is converted to heat. A highly effective RAM coating would be carbon nanotubes. The F-35 has some, but it's not widespread yet, but PAK FA is expected to have a huge amount of CNT based fibers baked into the airframe that can affect RCS up to 60 or 70 GHz and can reduce RCS by hundreds of times. CNT is one of the reasons why the F-35 has a smaller RCS than the F-22 even if the F-22 has better shaping. I think americans have developed this iron ball paint coated with carbonyl iron technology in 1981 with first flight of f117 nighthawk. If it is that much effective like Russians claim then USA should have used it on F22 also. You are right about everything except the RCS. The Su-57's claimed RCS is average RCS, not frontal RCS. Wrong, because there are capabilities that will be developed for a serial production version, or as an option for potential customers. So you have to compare the known capabilities, of the versions that will be produced to understand what the fighter can or can't. Rafale for example still has no HMS in operational service, but we know that it will be integrated for Qatari and Indian varients. So do you want to leave that capability out as well, because they are not operational? if i haven't proven test results. I've said that "to be in service is one of the way to prove" bcz thats indirectly prove quality. Also Dassault has commercial obligations to deliver this option in next year. In case of SU-57 Sukhoi doesn't have such experience in the techs under discussion and doesn't have such obligations. I agree, it's just very low RCS compared to normal fighter designs like the Rafale. That's why we already know, without the need for estimates, that the design focus on RCS reduction is higher on the Su 57 than on the Rafale, because of external shaping and internal payloads. as Rafale with "normal deisgn". has hard reqs for size and weight and i think that's the reason that Rafale doesn't have internal bays. But as you've wrote below Dassault make complex design with active EW omnidirectional reduction of RCS (i prefer the term "probability of interception" but it's more complicated). The goal is to reduce "probability of interception" and shape, internal bays, EW, tactics with electronics help etc is just a methods. Do you think that Su-57 (and J-20) shape is more "stealth" than such of rafale bcz it looks like F-22? RBE 2 just as SPECTRA uses GaAs modules today and in the coming F3R. GaN will only come in the F4 around 2025. F4 anounced to partialy start from 2023 and i've said "GaN modules is in the flight tests" (ie not in service). for compare you can know the state of GaN technology in NPP Istok (supplier TRM for N036) in the official bulletin "Microwave Engineering"
"A NEW GENERATION OF X-BAND HIGH-POWER AMPLIFYING HMICs ON A DIAMOND BOARD AND GALLIUM NITRIDE TRANSISTORS"
On current moment first HMIC in testing. I think that the reason why CAPTOR-E and ZHUK-A is not operational ready. Yes, you right SU-35 and MiG-35 (but mig is not in service today and it has unclear future) has MAWS and RWR but you wrong about number . Anyway a quantity is not equal a quality. 6 MAWS and 2 LWR (su-57) seems to have worse coverage vs 2 MAWS and 3 LWR of Rafale (especially in rear view). The Russian EW techs developed for Su 57, are the same once western companies are developing today as well, just that western fighters don't have the funding for final upgrade and integration yet. The Su 57 for example is the only fighter that has DIRCM integrated, not even US 5th gen fighters have it. You clearly need to inform yourself more about both, Su 57 and Rafale. Thanks! good advice! i will use one, although you need it more. Average value is taken for all aspect. When they say frontal RCS, it is actually the average of the frontal RCS.